Duo MATT AND KIM announce a headlining North American tour, bringing their explosive live shows to cities including Atlanta, Cleveland, Memphis, Portland, and others beginning September 1st. Full list of headline dates, including some previously announced festival appearances at the link below. 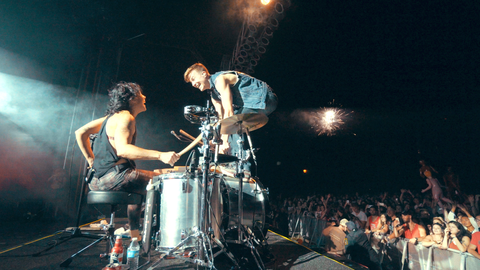 This tour follows the recent release of Matt and Kim’s latest LP ALMOST EVERYDAY, which was written during Kim’s extensive recovery after an onstage injury in early 2017 sidelined the band. Matt and Kim used that time to create one of their most personal albums to date — about mortality and loving what you have before it’s gone — with writing beginning just one month after Kim’s surgery. The album is currently available on limited edition red vinyl here.